Abstract—Antimatter is counterpart of matter that has all the components matter present in it with opposite charges. The presence of antimatter was first discovered by Paul Dirac in 1928. Antimatter for the first time in a lab was produced in 1932. CERN is a large Hadron Collider located in swiss French boarder is being used to produce antimatter. Antimatter have properties more or less are like to that of matter. In This paper properties of antimatter like decoherence, symmetry, advantages of antimatter, and it comparison with matter is discussed. Methods of production of antimatter includes proton-proton heavy ion collision, galactic antimatter source and production of antimatter by X-ray bath. Antimatter storage or handling technologies includes Non-neutral antimatter traps, radio frequency trap for antimatters, diamagnetic antimatter storage, multicell traps, alternate pathways for antimatter trap and antimatter plasma trap. Antimatter can be used as energy source for different applications that includes Antimatter driven sail, antimatter plasma, antimatter bullets, antimatter storage rings, fusion energy based on matter, antimatter interaction, antimatter propulsion system, matter-antimatter interaction based rocket repulsion. Index Terms—Antimatter, antimatter storage, decoherence, symmetry, antimatter production, antimatter as source of energy. johjk  that matter and antimatter are equal but opposite in charge and magnetic moments and many more properties. It has been verified from many experiments that a matter and antimatter have the same mass within one part in 10 billion. Where did all the antimatter goes? in order to achieve some results regarding to antimatter. --- all states about antimatter that, antimatter are particles have same specification of matter, but with opposite charge, magnetic moment and some other properties. As discussed earlier antimatter is opposite to matter, we will discuss some of the properties of antimatter here. Searches for the difference between the properties of matter and antimatter, in their production and decay rate have been performed . Another important property involved in antimatter is decoherence. In quantum mechanics decoherence is opposite to coherence and can be described as, the system that is not completely isolated from the surroundings and is in contact with surroundings, its coherence decay, this phenomenon is known as decoherence. A CPT violating decherence can also be observed in the dark matter, matter and antimatter asymmetry. Different type of experiments is being performed in order to find the gravitational effect on antimatters. Moreover, observations and experiments have been performed in order to find antigravity effect and existence of antigravity. Idea of measuring gravitational force acting directly on antiparticle in earth goes back to 1980s when scientists Witteborn and Fairbank attempted to find the acceleration due to gravity on electron and eventually on positron, it also included the measurement on the antiparticles. In  the author perform an experiment named as GBAR experiment, which was performed in CERN in order to perform direct experiment of the week equivalence principle on antimatter. Author in  write that Antihydrogen, muonium and positronium are the possible elements to measure the gravitational effect on antimatter. Gravity measurement experiments are very difficult to perform on any system, and many of the obstacles are being faced. Ability to produce controllable beam may open doors which may provide alternate methods to find the antimatter gravity. Gravity on antiatom can be observed by the help of Quantum reflection, it allows the observation of gravitational quantum, which proves to be promising for future analysis on antiparticles . In  author write about the advantage of antimatter. Antimatter have been vastly used in propulsion system, which either be space propulsion or deep see propulsion. about our universe, but also about our Earth. Thus, it is our vision that antimatter propulsion will be the new method utilized in the future for deep space exploration. If one would become able to combine matter and antimatter altogether, a large amount of energy would be created. This would be done by combining the charges with their counterparts. In this part we will discuss some of the methods used by the scientists to produce antimatter in laboratory. In  the author talk about the production of antimatter ratio to the ratio of matter production by using energy dependence of thermal parameters obtained by statistical thermal model analysis. Author write that the model study about the systematic of antimatter production at different energies. The statistical thermal model used by researcher can be studied in . If antinucleons are directly origination from thermal source, the equation 1 and 4 in  will correctly account for feeding correction to antinucleons from decay of heavier resonance. In  relative production antimatter to matter expressed by ratio of antibaryon/baryon was discussed. In the most straightforward coalescence picture the ratios of different (anti)nuclei can be directly related to ratios of hadronic yields. The differences between the antimatter/matter ratios in heavy-ion collisions at RHIC and LHC energies are essentially due to the decreasing value of μB . At LHC energy, the chemical potential is smaller than 1 MeV, resulting in the antimatter/matter ratio being close to unity. In  the author compared the measured ratios of nuclear and antinuclear fragments in heavy-ion collisions with the statistical thermal model and with the coalescence model. Based on the successful description of existing data, we have made predictions for antimatter production in p + p and heavy-ion collisions at LHC energies. And also produce photon pair. In 1934 Breit and Wheeler showed theoretically that reverse process is also possible, that the collision of two photons can produce electron-positron pair (matter and antimatter pair) provided that the photons and comprehensively energetic. 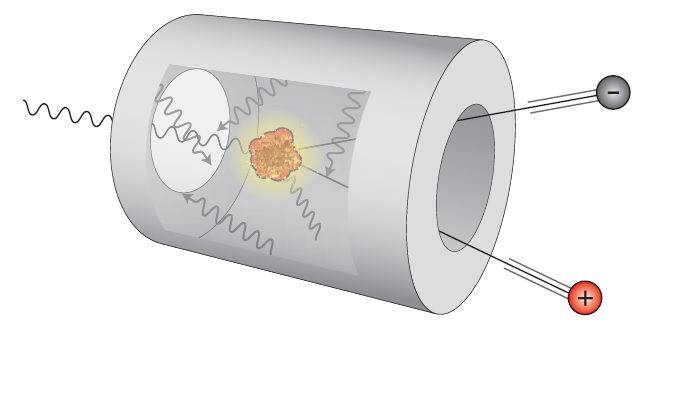 J. Pike and co-workers suggested that matter and antimatter pair could be generated by powerful laser system, and can be observed by gamma rays propagation through an x-ray bath that can be generated in metal cavity (also known as hohlraum). In 1996 a step was taken toward the creation of matter from collision of two photons, this experiment was performed at STANDFORD LINEAR ACCELERATOR. Matter was created by interaction of light with light but by a multi-photon version of the Breit– Wheeler process. X-ray bath setup is illustrated in following figure. 2 mile longer accelerator hits the target with high intensity of laser pulse. Photons from that laser pulse were Compton scattered from the electrons to much higher frequencies. The frequency shift of the backscattered photons is similar to the Doppler shift of a laser pulse reflected from a relativistically moving mirror. The scattered photons, which are extremely energetic gamma rays and still lie within the focal region of the laser pulse, simultaneously interacted with many laser photons to create electron– positron pairs. Positron annihilate with electron, their antiparticle by gamma rays characteristic at energy of 0.511Mev. This emission was initially detected in 1970s with an experiment known as Balloon-Borne experiment. Despite of 40 year intense observations and theories positron remain one of the major material of astrophysics. The 0.511Mev is the strongest and the most intense gamma-ray line originated in the environment outside solar system. Its intensity applies that a few 1043 positron annihilate every second in Galaxy. Many sources of positron have been proposed over the years. Radioactivity of the positron is seems to be unstable as mentioned in  produced in stellar explosions-high energy interaction occurring in cosmic rays or near compact object or the supermassive black hole in galactic center. Thermonuclear supernovae (SNIa) are white dwarfs in binary systems, exploding after accreting enough matter from their companion star or after a collision with another white dwarf. A positron is emitted in this process. Despite that failure, radioactivity remains a good candidate: most, if not all, other candidate sources are thought to release much faster positrons. Their annihilation would produce not only the 0.511 MeV line but also a gamma-ray signal at higher energies that is not seen in observations. The trap should contain high energy storage for significant amount of total energy. The storage technology for antimatter must be stable, mean it must not leak or must not release the store energy in an uncontrolled manner. Storage method should be stable under certain physical and environmental effect like corrosion and humidity etc. The traps methods should be following the standard of safety, it should not possess any hazard for the safety of environment. 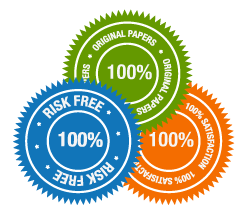 The containment method should produce a product that should be easily transported for different applications. The containment methods should be made so that it does not require a large amount of investment. In the following section we will discuss each of the following method to store antimatter. The accumulation and storage of large quantities of low energy positron is becoming important in different fields. To get the desired goal for storage of energy limitation of fundamental PM trap should be needed to overcome: the required electrostatic confining potentials rise to large and unpractical values as the charge stored in a PM trap is increased. Standard traps can be replaced by a solution having a longer trap to lower the density and avoid the high potential of electrostatic. 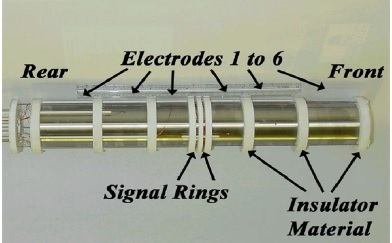 The new proposed trap could be divided into small portions and arranged in parallel within a single magnetic bar so that the tubes form Faraday cage shields around charge clouds in parallel tubes. The retaining potentials are now fixed as more tubes are added for more positrons. A technology named as MEMS made for microelectronics could be in favor to fabricate such small traps arrays. The design of this modified PM trap, of very small space charge potentials in relatively short plasmas compared to the prevailing PM traps, reduces plasma heating and weakens the requirements for high uniformity of electrodes and magnetic field and so improves plasma confinement. No energy source can compare with antimatter annihilation till date. Antimatter annihilation a reaction that convert all of the mass of the particle into energy (1.8*1017J/Kg), order of magnitude higher then fusion reaction. In  the author experimental setup consisting of deep reactive ion etching (DRIE) was used to create 100um diameter holes completely through 0.5mm thick silicon wafer. A total of 200 holes each of 38mm diameter was produced, each die contained more than 20000 holes. Dividing the trap into segments enables particle manipulation and compaction as well as loading and dumping techniques. Therefore, two types of dies were made: type 2 dies to create the trap segments and type 1 dies to isolate each segment electrically (illustrated in Fig. II). Figure II: View of full trap showing bonded and stretched dia applied in. 100 μm diameter microtraps were fabricated with DRIE. Gold sputtering proved to be rather difficult on the rough surfaces. Smoothening the surface prior to sputtering helped to cover the entire sidewalls with gold. Surface potential variations which have considerable effects on the lifetime of trapped particles, are being measured and will be reported. Continued efforts are being made in enhanced methods of metal deposition. To improve the conformal coating inside the holes and to decrease the different potential contacts with the wall atomic layer deposition is being considered . Ion cloud can be manipulated by the help of radio frequency for use in containment of antimatter. Focus of current research is involving the confinement of antimatter system which would be capable of transporting antimatter. In  unique and new methods are discussed and are used to overcome the containment of existing methods of antimatter technology. This method includes the creation of Radio Frequency (RF) antenna, that would be able to propagate RF signal within antimatter clouds. This sole subsystem was made and designed with the help of Penning-Malmberg storage technology basics with some of the modifications that allow perfect transmission and reception of radio frequency (RF) signal. In  the Penning-Melmberg technology is used to build a setup named as High-Performance Antiproton Trap (HiPAT) shown in Figure 3, it is designed for capacity of 1012 antiprotons with a minimum storage lifetime of 18 days and is portable. Trapping region having length of 30cm and diameter of cm. A four Tesla magnetic field – by way of superconductor magnet system. How to store antimatter in a storage made of typical prevailing matter is discussion now. The possible solution may be containing the antimatter in a tank having energy barrier on the inner surface of the tank, that prevent antimatter from contacting the wall. Diamagnetic antihydrogen (an antimatter) can also be kept apart from the wall if a magnetic barrier is created near the inner surface of the storage tank. In  the author discus about the possibility of creating a relatively thin film magnetic barrier induced by array of current carrying tightly positioned superconductive coils. The height of antihydrogen fuel as a function of rocket acceleration is evaluated. There can also be a problem of penetration of vapors of antihydrogen in the magnetic barrier, is discussed in . The problem that challenges the storability of antihydrogen in a container with the barrier of any kind is vaporization. Solid hydrogen and antihydrogen are highly volatile. The saturation vapor pressure of liquid hydrogen Pv(H2) at a temperature of 14 ºK (just above the freezing point) is approximately 7000 Pa. The diamagnetic force acting on vapor on per unit area is considerable as compared solid and liquid antihydrogen because the concentration of molecules is very small in solid and liquid antihydrogen . Whatever method of antimatter storage in tanks is chosen, the problem of curbing the antimatter vapors will inevitably arise. Leakage of the vapors or prevention of vapors leakage can be done by a relatively stronger magnetic barrier having intensity of magnetic field well over 100 Tesla. If magnetic field of such intensity is realizable by technical facts than gradient magnetic field of antihydrogen can be considered. Solid antihydrogen can be stored in vacuumed container made by prevailing methods at temperature equal to liquid helium and placed at surface closer to the inner surface of the container. Proper array of current loop distributed over in the inner surface of container can induce gradient magnetic field. 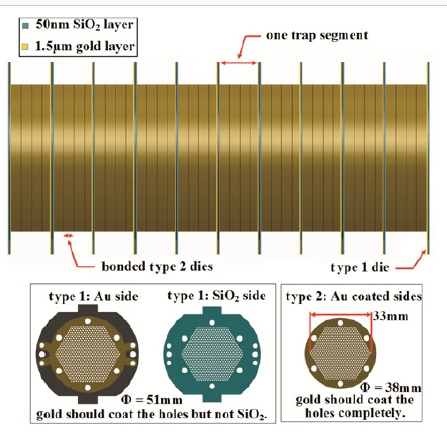 High temperature superconductor materials are used to make the arrays loops whose current may accede 1MA per cm2, these superconductors have tendency to have a diamagnetic pressure of tens or hundreds of newtons per square meter, in this way they can support extra weight of the antihydrogen. The barrier that has been are not yet being able to contain the antihydrogen vapors at temperature at a temperature of liquid helium or above. To elevate the energy height of the barrier above the average kinetic energy of vapor molecules and to prevent leakage of antihydrogen vapors, the maximum magnetic inductance of the barrier should be increased to ~ 100 Tesla or more. It can be achieved by improving the array structure or by increasing the electric current in the loops. Sublimation rate of solid antihydrogen can also be reduced by changing the internal lattice by lightning it with ultra violet or gamma quanta . The storage of positron or antiparticle having low energy is now becoming important in many fields including material physics, atomic physics and plasma. While multicell trap is made it provides high burst of positron for many applications. One of the major application of multicell trap is to multiplex the output of new generation of high flux positron source. Creation of such kind of multicell trap is a major step toward the portable antimatter trap. Panning Trap: So far most successful containment for antimatter is panning trap. This containment method is understandable by a simple example of electrostatic repulsion. Magnetic levitation: If liquid or solid antimatter is produced, the containment. There are many challenges in this kind of storage technology. Dynamic filed: These containment methods are based on dynamic equilibrium, external electric or magnetic field can be used with this kind of trap. This method has certain distance kept in between the positron and electron in dynamic equilibrium. Continued improvement of penning trap design. Magnetic levitation storage for antimatter inform of liquid or solid form using diamagnetism property. Electric and magnetic field introduction to achieve dynamic equilibrium. Plasma yet not have been vastly used in confining of antimatter, but it may be the true and feasible solution for future of confining the antimatter. 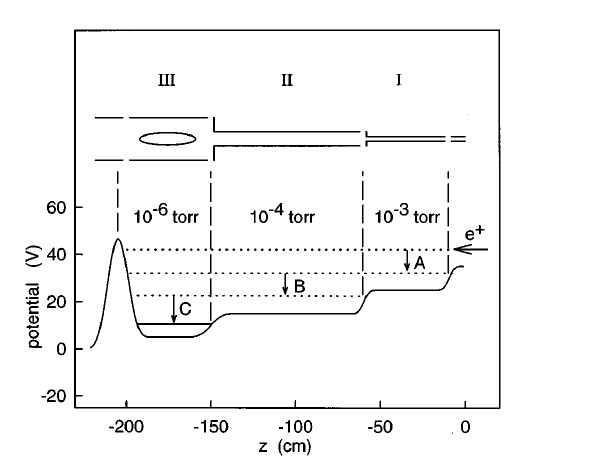 In 1975 Malmberg and deGrassie developed a new concept of open-endcap cylindrical penning trap to study plasma wave. Following to this concept a series of experiment have been done by the team of Malmberg and concluded that a single component plasma has remarkably good trapping property. Positron can be accumulated in traps if a mechanism suitable to extract energy is used. Some of the technique are magnetron drift technology, that is demonstrated by Dehmelt and experimentally studied by Schwinberg. It is stated by experiment performed in  that if a pulsed source is available then positron can be trapped rapid switching of confining potential. away from the field line on which they entered, to become trapped. The positron which got trapped are then cooled by coupling their energy to resonant circuit. The other method is buffer gas method, in which positron from a radioactive source are trapped by scattered inelastic collision with molecule of gas buffers. During the first stage nitrogen is introduced, which creates a low pressure to trap positron. Once the antiprotons are trapped they are cooled further with electrons which can also be confined in the same trap. Antiproton storage can be increased by cooling several batches of antiprotons. As discussed earlier the anhelation between matter and antimatter is a big source of large energy. In the following section we will review all the application in detail. Antimatter driven sail for deep sea missions. Antimatter technology is involved in second step where the investigation involve, the reaction between antiproton and sail material and the corresponding momentum transfer. The actual momentum transferred from antimatter to sail by fission is a critical factor among the related study. The second critical issue regarding this mechanism is the feasibility of storing of antiparticle in integrated circuits. To overcome these issues electrical power supply based on antimatter fission is proposed. The fission produced by antimatter of uranium produce spectrum of masses. The average energy released in the process discussed in  is 190MeV. If neutral atom of uranium is used for fission then the amount of energy gets disturbed. The electric power supply for the antimatter driven sail (ADS) uses the concept of antimatter fission conversion (AFC). Antimatter is injected into a region where fission energy is converted into light and then to electrical power. A device which is tabletop having size of 10 square meter can produce a burst of positron full of energy, are as dense as that are produced at CERN. Each bullet that is produced by positron last for just friction of seconds. A team from Queen’s University Belfast UK and their colleague used a rapid laser burst to make positron use in their small budgets. The helium ion gets ionized by the pulses of lasers because of which high speed of electrons are generated. This beam of fast moving electrons is directed toward a thin metallic foil, so it hits the metal atom, releasing a jet of electron and positron. Then these beams are separated by the help of a magnet. The team called it as antimatter gun, because the positron beams just lasted for 30 femtoseconds (quadrillionth of seconds). Despite of having small time yet the number of proton generated are quadrillion per cubic centimeter. In 2008 in California laboratory the scientist directed a very strong laser toward a tiny gold disc, it produced large quantity of antimatter. Scientist said the setup was more accurate and more cheaper. Matter and antimatter positronium atoms stagger on brink of annihilation. There is a way to unstable atoms last for a longer time and produced a gamma ray laser. A positron (antimatter) is counterpart of electron, but it is like proton for positive charge, it has mass of just 5*10-4 times of proton. Positronium survival rate is very low i.e. less the a millionth of second, after this time electron and positron annihilate to produce gamma rays . In  it is written that positronium could be used to build the gamma ray laser, as positronium produces highly energetic beam of extremely small wavelength that can pass through tiny structure including nucleus. The behavior of positronium atoms in manner can be described as; when one positron annihilates, remaining will produce laser. To overcome the issue of BEC a team of German scientists at Mark Planks institute of Nuclear physics in Heidelberg, suggested that we can make a short-lived atom with matter and antimatter which annihilate to produce gamma ray laser to slow down the process of annihilation. This method include the handling of laser to the exact energy at which the electron and positron orbits farther from one another. By this eventually the positronium loss the energy and return to annihilation prone state . This statement was never proven till it was firstly experimented in 1938 by Otto Hahn and Strassman, and discovered the fission energy by uranium . Another form of energy that is completely different is based on matter and antimatter annihilation. Deutsch was the first person to show that electron and antielectron could be built in bound state with a lifetime existence of 10-10 to 10-7 seconds and can have ground state energy of -6.8eV . After annihilation the energy might goes up to 511KeV. Proton, antiproton pair annihilate at rest to produce energy of 1.88 GeV. Maximum energy of antiparticle after reacceleration is 1 TeV. Kilogram for kilogram matter-antimatter annihilate to produce energy that is 10 billion time more energy than hydrogen/oxygen mixture that is used to power the space shuttle. This energy source is extremely light so its use can reduce the overall weight of space shuttle. The yield is extremely larger than any other fuel source which could result in longer and faster trip. The possible formation of hydrogen-antihydrogen (an antimatter) molecules allow us to produce cold fusion. Cold fusion is high energy state. This cold fusion allow us with ultimate source of energy for space applications. Antimatter propulsion systems include antimatter rockets, antimatter rockets are types of rockets which uses antimatter for their power or as source of energy. Antimatter rockets can make humans to travel a long distance in small times. Pure antimatter rockets: This type of rocket propulsion includes the matter, antimatter annihilation that produces a thrust through the nozzle. The impulse rate of these rockets is about 10 million second for a low thrust. The structure of these rockets is beam core. Thermal antimatter rockets: In this kind of rocket, the antimatter is used to heat the fluid which is being used already. 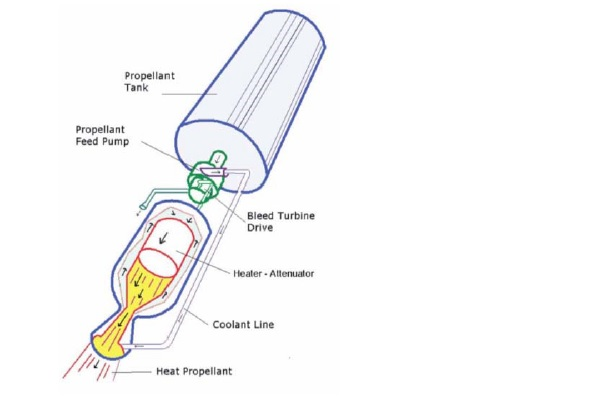 The heating can be direct or indirect to produce thrust. Gamma rays are used to heat a solid core engine. Antimatter power generation: These kinds of rockets heat the fluid to produce electricity for some sort of propulsion system. Solid Ablation: Energy is transferred through the pusher plate, the construction of this setup is very simple. Less than half of the gamma rays doesn’t strike the pusher plate. Efficiency of such rockets is 50%. Gas Core: Energy is transferred to gas propellent, which is produced by the heating of gamma rays. In the structure the Gas core also have storage unit which store the gamma rays produced form matter-antimatter annihilation. Conversion efficacy of this setup is less than 35%. Plasma Core: The gas can ionize and can work to higher effective temperatures. The performance of such kind setup is very high. For propulsion system very, small amount of antimatter is required. Impulse produced by antimatter is very high. Speed of antimatter is high, it is about 94% of the speed of light. The idea for photon rocket was given by Sanger in 1953, he said that maid could completely be converted into photons and by using a mirror we can deflect these photons to derive the rocket by recoiling the photons. In  ‘F. Winterberg’ write that the only possible way to convert mass completely into radiation is annihilation of matter with antimatter. During this process 60% of energy goes into charged particle, which can be deflected by mirror to produce thrust while remaining 40% produce 200 MeV of gamma ray photons. But the problem remain here is the production of antimatter, to overcome this problem ‘Sanger’ insisted on the use of positron, the annihilation of positron with its counterpart electron produces about energy of 500KeV. Electron-positron plasma (magnetically imploded) can be made by coalescence of two intense multi MeV positron and electron beam. Similarly magnetically imploded proton-antiproton GeV can be made. FAIR (The international facility of antiproton and ion Research), have series of rings that are used for providing heavy beams of antiproton. Another research center named as FLAIR (The facility for low-energy and Ion Research) is primarily depending on the need of high brightness, high intensity and low energy antiprotons beam. The newly generated antiprotons are directed toward the low energy storage rings at an energy of 30MeV. At low energy storage rings the antiprotons are cooled and their energy is reduced to 300KeV, but the ultra-low energy storage rings that are currently developed by Quasar group cool the antiproton and reduce the energy as low as 30KeV. In  it is written by author that it is possible to generate an impulse of short duration having voltage of 20KeV. The radio frequency cavity operating at higher rate of harmonics of ion rotation frequency and fast extraction provided by a pulse provided by a pulse deflector, that is able to produce bunch of 50-100 ns pulses. The ultra-low energy storage rings allow the kinematic study of complete collision of antiproton and several gas targets. This experimental setup requires very short impulse, having impulse rate of 1-2 ns, specially at lower beam energy of 20KeV. Positron are guided with the help of electric field in the penning traps, where the positron able to reach the suitable energy and density to get annihilate with antiproton to produce antihydrogen. D. Matter and D. Energy, “Dark matter,” 2016. B. B. V Alexeev, “Problems of antimatter after Big Bang , dark energy and dark matter . Solutions in the frame of non-local physics .,” pp. 1–40. G. Dufour et al., “Prospects for studies of the free fall and gravitational quantum states of antimatter,” Adv. High Energy Phys., vol. 2015, 2015. G. Barenboim and N. E. Mavromatos, “Decoherent neutrino mixing , dark energy , and matter-antimatter asymmetry,” vol. 70, no. 9, pp. 1–7, 2004. A. 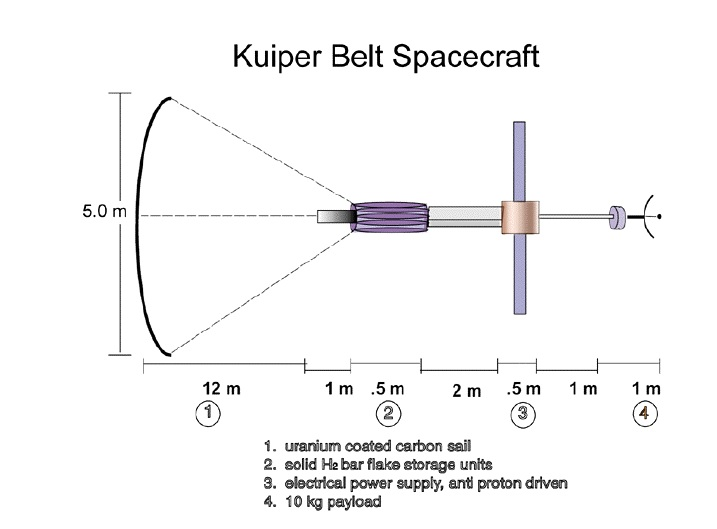 Sun, C. Edwards, A. Kane, and S. Pandipati, “Space Propulsion : The Antimatter Advantage,” no. November, pp. 44–46, 1993. J. Cleymans, S. Kabana, I. Kraus, H. Oeschler, K. Redlich, and N. Sharma, “Antimatter production in proton-proton and heavy-ion collisions at ultrarelativistic energies,” Phys. Rev. C – Nucl. Phys., vol. 84, no. 5, pp. 1–7, 2011. A. Thomas, “Antimatter creation in an X-ray bath,” Nat. Photonics, vol. 8, no. 6, pp. 429–431, 2014. N. Prantzos, “A rare Galactic antimatter source ?,” Nat. Publ. Gr., vol. 1, no. June, pp. 1–2, 2017. J. M. Rejcek, M. K. Browder, J. L. Fry, A. Koymen, and A. H. Weiss, “Alternative pathways to antimatter containment,” Radiat. Phys. Chem., vol. 68, no. 3–4, pp. 655–661, 2003. A. Narimannezhad, C. J. Baker, M. H. Weber, J. Jennings, and K. G. Lynn, “Simulation studies of the behavior of positrons in a microtrap with long aspect ratio,” Eur. Phys. J. D, vol. 68, no. 11, pp. 1–20, 2014. A. Narimannezhad, J. Jennings, M. H. Weber, and K. G. Lynn, “Microfabrication of a high-density , non-neutral antimatter trap,” vol. 9, no. May, pp. 630–634, 2014. W. Herbert, S. Iii, M. Space, and J. B. Pearson, “Radio Frequency ( RF ) Trap for Confinement of Ion Plasmas in Antimatter Propulsion Systems Using Rotating Wall Electric Fields History of the Penning-Malmberg Trap,” pp. 0–5, 2004. O. G. Semyonov, “Diamagnetic antimatter storage,” Acta Astronaut., vol. 136, pp. 190–203, 2017. J. R. Danielson, T. R. Weber, and C. M. Surko, “Next generation trap for positron storage,” AIP Conf. Proc., vol. 1114, pp. 199–206, 2009. R. G. Greaves and C. M. Surko, “Antimatter plasmas and antihydrogen,” Phys. Plasmas, vol. 4, no. 5, pp. 1528–1543, 1997. S. D. Howe, G. P. Jackson, S. D. Howe, and G. P. Jackson, “Antimatter Driven Sail for Deep Space Missions,” vol. 544, 2005. T. Week, “How to build a laser with antimatter Let your Love Life Lift off New ScieNtiSt coNNect for,” no. December, pp. 6–7, 2011. M. A. Abdel-raouf, “Fusion Energies Based on Matter-Antimatter Interaction,” pp. 1–9, 1953. A. R. Kulkarni, “Antimatter Propulsion Systems,” vol. 3, no. 5, pp. 334–337, 2016. F. Winterberg, “Acta Astronautica Matter – antimatter gigaelectron volt gamma ray laser rocket propulsion,” Acta Astronaut., vol. 81, no. 1, pp. 34–39, 2012. A. I. Papash and C. P. Welsch, “Nuclear Instruments and Methods in Physics Research A Realization of nanosecond antiproton pulses in the ultra-low energy storage ring,” vol. 620, pp. 128–141, 2010. G. Consolati et al., “Experiments with low-energy antimatter Experiments with low-energy antimatter,” no. January, 2015.